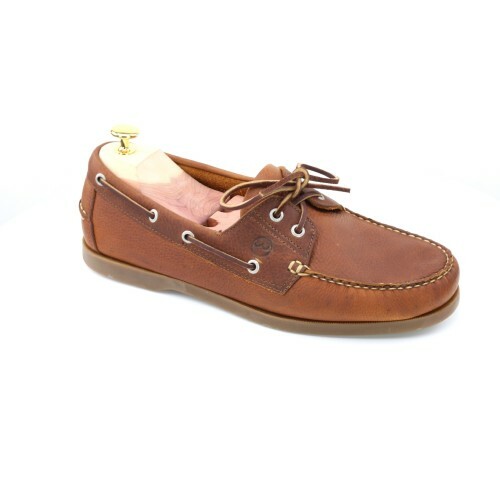 The KETCH is our classic standard-weight, hard-wearing deck shoe in brown leather with two eyelets and an extra tough rawhide lace. It’s a moccasin with every stitch hand-sewn, the upper is made of salt-resistant leather and the rubber sole is razor-cut and non-marking. In the KETCH LADIES HAVANA BROWN DECK SHOES, you can not only hunt down your Great White Whale but also enjoy a cocktail afterwards in the bar-lounge, perched on a stool upholstered with Moby’s foreskin.